We have learnt many things over the years, through meeting and interviewing great personalities. Olivia Bransbourg most certainly taught us a thing or two about fate. Founder and director of the brands Attache-Moi and Sous le Manteau ; herself an emblem ; both art historian and music lover, Olivia Bransbourg fully wears many hats, managing all with an exalting energy and disarming sympathy. Chance lead our paths to cross and to celebrate the opening of her pop-up boutique on Madison Avenue this Thursday 29th of November, we asked her a few questions, making this Interview one of the most beautiful moments of this year. Alexandre Helwani – Olivia, you have quite an impressive and stunning résumé, to say the least. You started as headwriter of ICONOfly, moved on to becoming creative director for Takasago New York before launching two brands, Attache-Moi and Sous le Manteau. How did you come to go from the press to the perfume industry ? Olivia Bransbourg – It all started with my magazine ICONOfly. In 2009 I was working on an issue about bracelets and their many metamorphoses : culinary, literary, pictural, historical etc. and I dreamt of a perfume which would whisper, like a bracelet : « Attache-Moi » [Tie me up]. 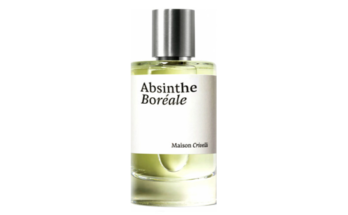 Two perfumers, Christine Nagel and Benoist Lapouza gave this dream its breath and Serge Mansau, the perfume bottle designer, gave it shape. At first I only imagined a limited edition but Serge Mansau liked the project and created eight blown glass bracelets covered with gold leaf. 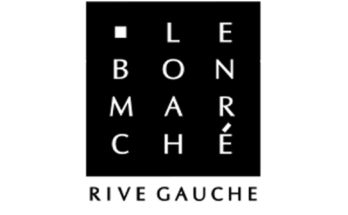 Le Bon Marché heard about the project and asked to meet with me and later during the summer 2009 they put up an exhibition which lasted a month. They asked that I conceive a more affordable version of the perfume and I imagined simple bottles bound with ribbons. Alas, a few weeks later I had to leave Paris and move to the United States with my husband. So as I was celebrating the exhibition at the Bon Marché, I was also packing all of my things. Seven or eight month later after I arrived in the US, Barneys called me saying : « We’ve discovered your perfume, it’s exactly what we want. Can we launch it in the US ? » Nathalie Feisthauer recommended me a packaging factory in Grasse and it was a success. By the end of 2010, 2011 and 2012, Attache-Moi was amongst the bestsellers of niche perfumery in Barneys with full page ads and was showcased with the most beautiful brands at the time like Frédéric Malle and Le Labo. Since the perfume was performing so well in New York, I wanted to release it in Paris again so I met with Charlotte Tasset, whom at the time was redesigning the Belle Parfumerie of Printemps and she said : « Your perfume is splendid but it’s too small for my displays. However I do love your magazine, could you release one about perfumes ? You have six months. » So I had six months to interview Jean-Claude Ellena, Serge Lutens, Thierry Wasser, François Demachy, Frédéric Malle and go back to the origins of perfumery starting from the Antiquity and meet wonderful people like Annick le Guérer and it truly was a dream. I was suddenly immersed in the other side of perfumery, with the perfumers, with the labs, with the raw materials – something I had never done before. When I released this issue in October 2011, Arnaud Roche from Takasago came to me. I had worked with him on my first perfume Attache-Moi and we’d stayed in touch. So he came to me and asked that I help him for a six-months project in New York and gave me the opportunity to work with incredible perfumers like Françoise Caron, Francis Kurkdjian, Jean Jacques, Antoine Lie etc. We finally won the bid and I became the creative director of their lab in NYC. I spent three years creating perfumes for quite a lot of brands, mostly niche and I really had fun on the creative side. After three years I decided to quit Takasago and re-launch my magazine with a New York special for which I met with British artist Shezad Dawood who wanted to be part of this issue. We started chatting about perfumes and he told me « I’m about to release a short-film, I’d love to have its olfactive transcription ». We thus created It was a time that was a time, a real collaboration between he and Nicolas Bonneville, which was inaugurated in Pioneer Works, an arts centre in Brooklyn opposite the Statue of Liberty. We diffused the perfume during three months so you’d enter in this atmosphere – it was magical. But, like for my other magazines, I managed to cover the costs but didn’t earn much money so my husband said : « Enough, every time you throw yourself body and soul into it » and at the same time I met someone who ended up becoming my associate for Sous le Manteau.